We took a quick trip to Memphis in the middle of May. 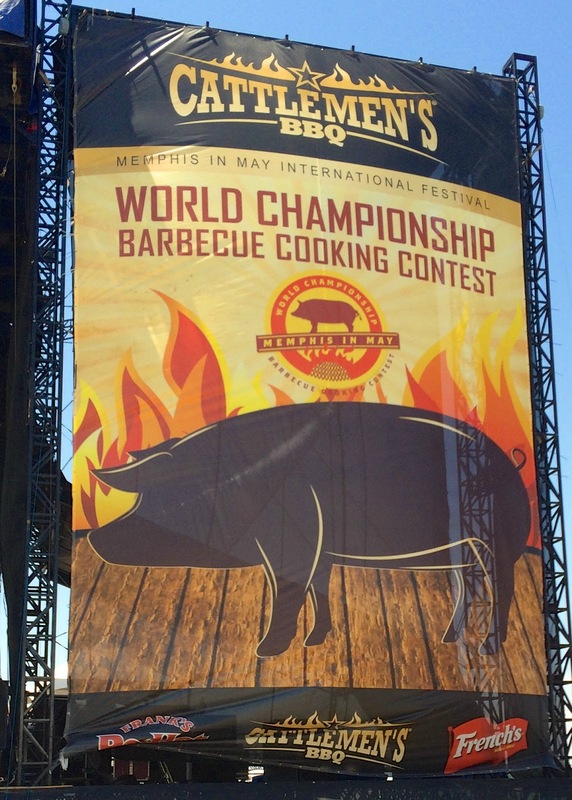 We've always want to check out the BBQ competition, Memphis in May. It normally is the same weekend as our trip to St. Augustine for The Players Championship. We were excited to learn that Memphis in May was the week after the TPC this year. We booked a room and made a day of it! We went up on Thursday morning and left late afternoon on Friday. We packed a lot in our 24 hours in town. 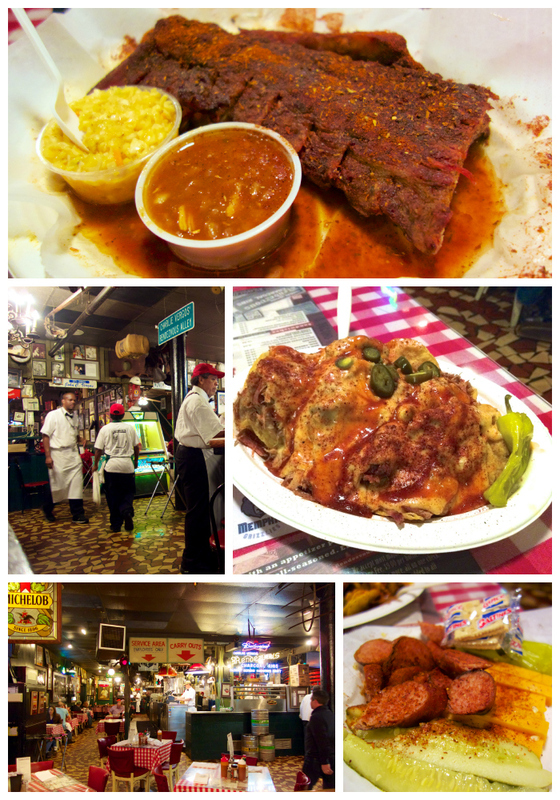 We sampled some of the best BBQ around, visited Graceland, saw the ducks at The Peabody and ventured down Beale Street. We had a blast and can't wait to go back! 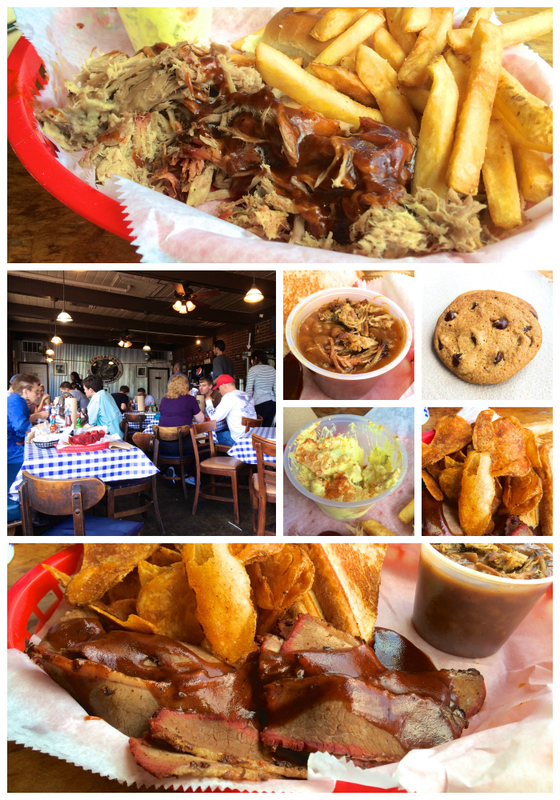 Our first stop was The Memphis BBQ Company in Horn Lake, MS. It is about 10 minutes outside of Memphis. I've eaten here once before, and I loved it. Chicken Legs had never been here, so we was excited to finally try it. They brought out some fried pork skins as soon as we sat down at the table. YUM! I was so excited to try the Cheese Fritters. I saw Melissa Cookston (owner and only female World Champion Pitmaster) make them on the Food Network, and I've wanted them ever since. One word - amazing! SO good and that honey mustard sauce is to die for! We got a sampler platter - ribs, brisket, pulled pork. All delicious! The sides were tasty. We sampled the cornbread, baked beans, mac & cheese, and onion rings. The first time I went to the Memphis BBQ Company, my travel companion got the Juke Burger. It was so good. I have the recipe for the Juke Sauce that was on the burger. I will be making it ASAP. After lunch, we drove about 10 minutes over to Graceland. 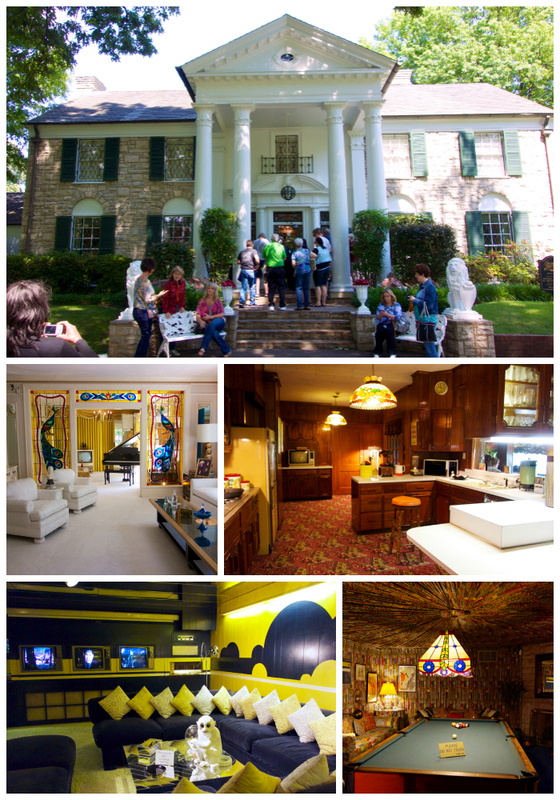 This was our second time at Graceland to see how The King lived. Elvis' house is modest compared to today's celebrity standards. The rooms are SO neat. Loved the kitchen! He had all the modern appliances (at the time). My favorite room is the monkey room downstairs. LOVE it! I also love the pool table room with all the fabric draped everywhere - even on the ceiling. 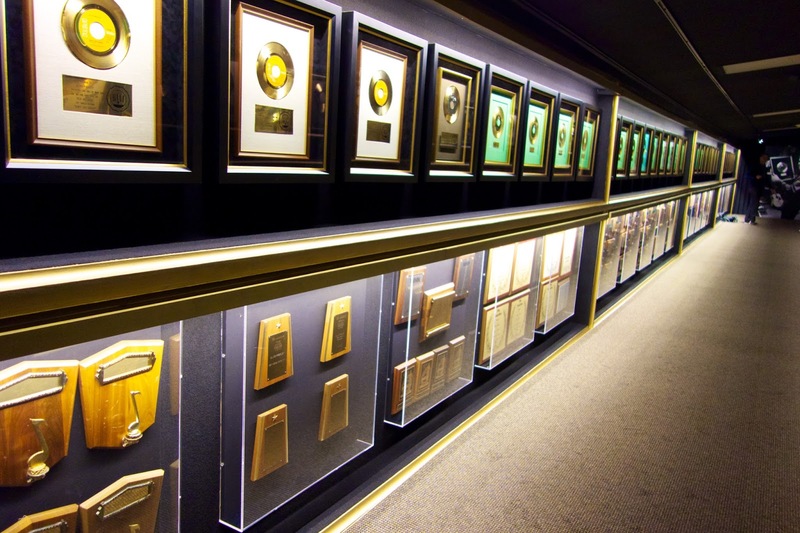 I was so impressed with all the gold and platinum records and awards Elvis received in his career. 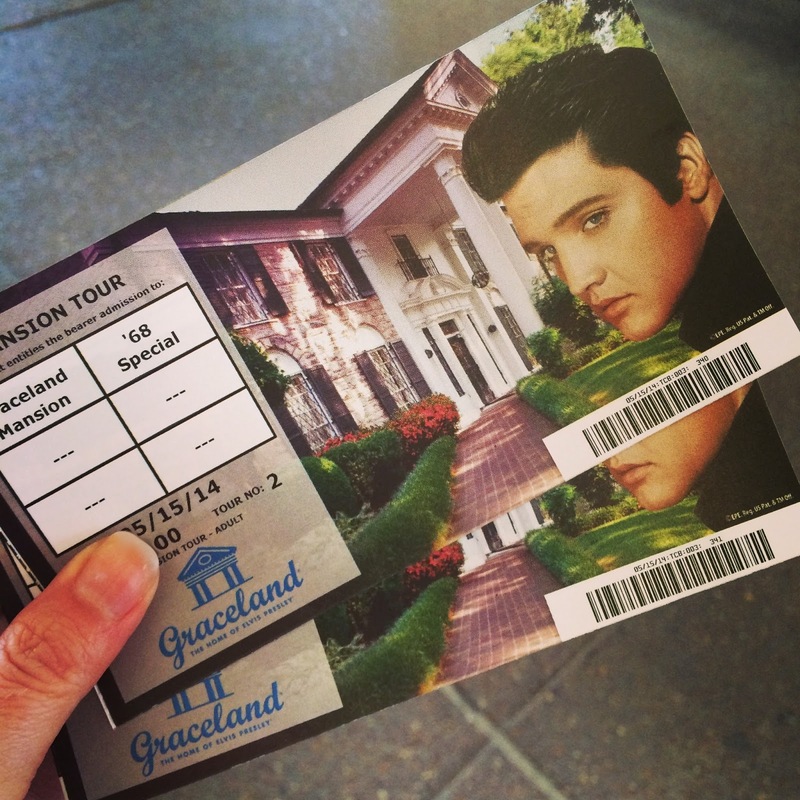 Graceland is definitely worth a trip if you have never been. 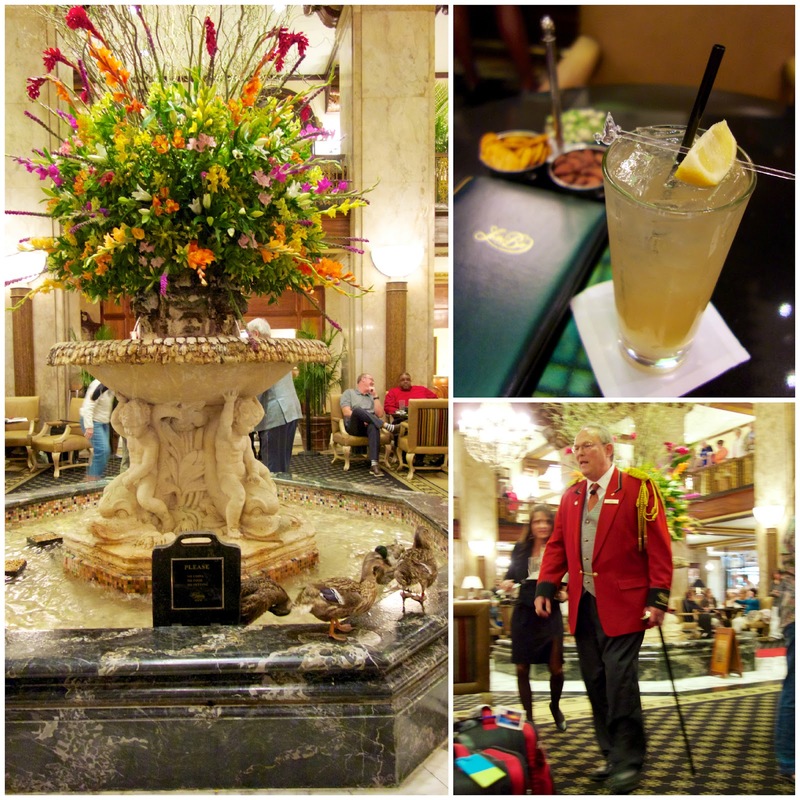 We stayed at the Doubletree right next door to the Peabody Hotel. After we checked in, we went straight over to the Peabody to get a spot for the duck march. The last time we were here it was a free for all. People everywhere. You couldn't see a thing. They have changed it for the better. You have to have a seat in the bar/lobby area now. You can't stand anywhere in that area. If you can't get a seat downstairs, head upstairs on the balcony. Lots of seats up there. We got lucky and got one of the very last tables in the lobby. It is so fun to see those ducks start marching! Dinner was across the street at Rendezvous. If it is good enough for the future King of England, it is good enough for us! We started with the BBQ Nachos and Sausage and Cheese plate. OMG - the BBQ Nachos were awesome! I would get them as my meal next time and not share! We split the ribs for our entree. They were actually really good. The slaw and beans that came with the ribs were also good. We both really enjoyed the meal. After dinner we walked down Beale Street. We skipped breakfast (we were still full) and headed down to the river for Memphis in May. We walked all around the grounds. The tents were great. So creative! Some of the team names were hilarious. 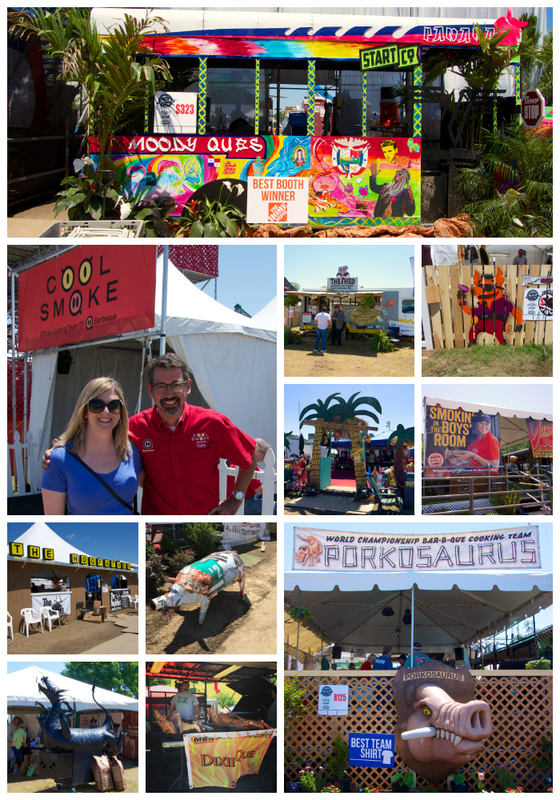 "Porkosaurus" "The Hogfather" "Swinefeld" "Moody Ques"
I got to meet Tuffy Stone from Cool Smoke BBQ. He is a judge on BBQ Pitmasters (TV show). We watch it all the time. I was so excited to meet him! We saw Myron Mixon at his tent, but he was giving an interview to a TV station. We met up with my friend, Chris, from Nibble Me This. 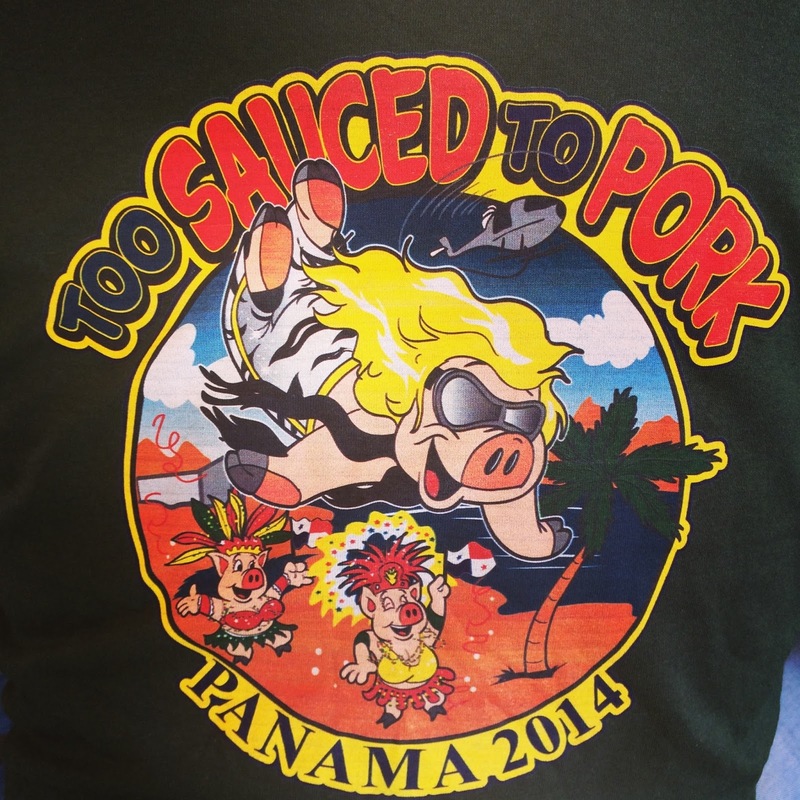 Chris was cooking on the "Too Sauced To Pork" team. It was really neat to see what goes on behind the scenes. I've been blog friends with Chris for years. It was great to finally meet him in person! Chris is a master griller. He has a new book coming out soon! You can pre-order it here. I also met Chris' grilling buddy, Wayne Brown, from Big Wayner's BBQ blog. 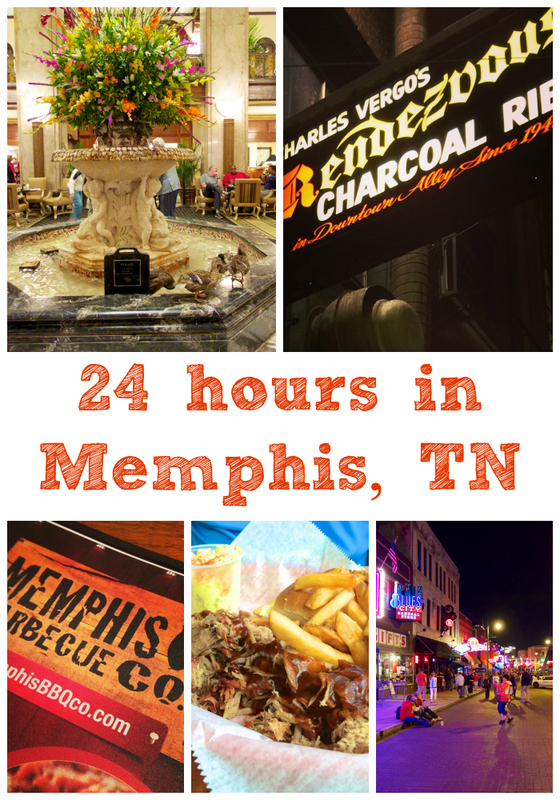 We talked about the cooking teams and all the BBQ we had tried in Memphis so far. He recommended Central BBQ on Central. 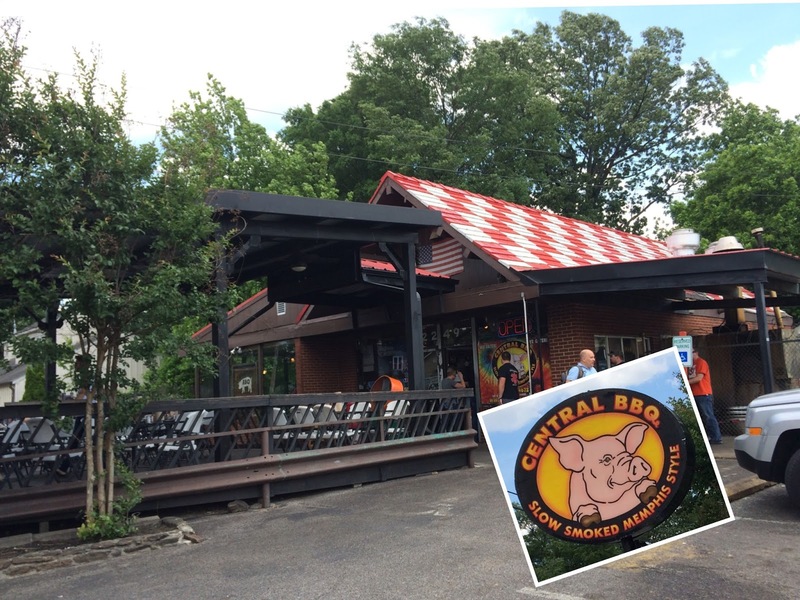 We left Memphis in May and headed straight to Central BBQ on Central. OMG - this was THE BEST BBQ ever! We both thought this was the best BBQ in town. Huge thanks to Wayne for the recommendation! We got a pulled pork plate and a brisket plate. The meat was to die for! For our sides we got potato salad, fries, homemade chips and baked beans. The baked beans were the best I've had. I wish I had the recipe. I got the homemade chips because they were selling them by the bag at the register. I figured they must be good. They were. I'm still thinking about them! Chicken Legs got a couple of cookies for dessert. They were good, but I've had better. This will be our first stop when I come back to Memphis. 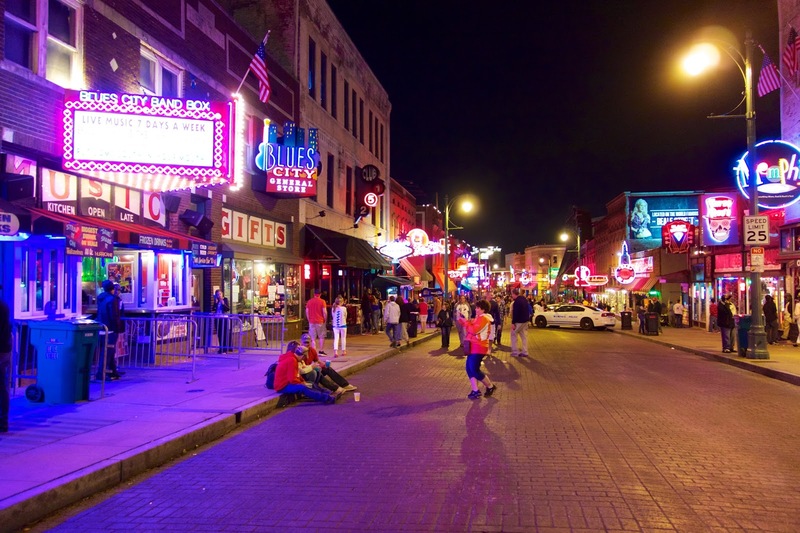 Have you tried any of these places in Memphis? Where should we go next time?? Wow - what a busy time you had - I'm tired just reading about it. Glad you got to meet Chris - he is a great guy. Maybe next year you guys can come up for our blogger party and spend time with several bloggers. I'll have to remember Central BBQ. Thanks for all the good reviews! My mouth is watering! We love the Commissary in Germantown! Delish! 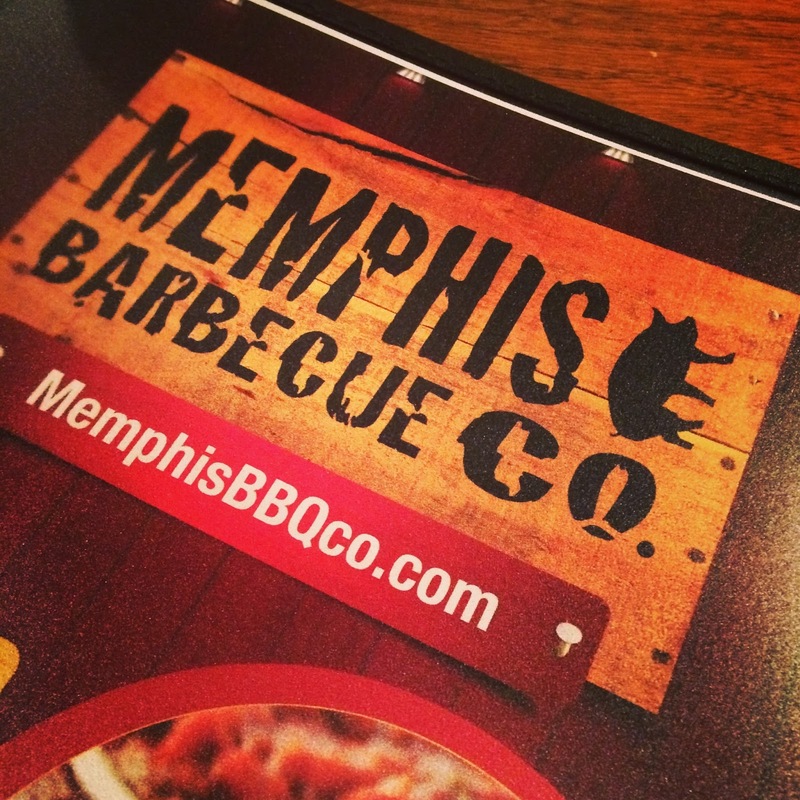 We just had Memphis BBQ Company two nights ago. It's wonderful! We really love the Commissary in Germantown, TN. It's a small shack type building in the middle of the bustling city of Germantown, TN. Their BBQ is so tender and perfect. (Granted, I've never had Central BBQ, but I will now!) Their cheese fries--mmm!! And the banana pudding is a MUST. A note: if you're claustrophobic, it's not the place for you; get takeout! Other fun places: The Orpheum for a play, the Majestic Grille for a more upscale night out, Jerry's SnoCones, and "The Dip" or Velvet Cream in Hernando, MS (10 minutes south of Horn Lake). I, too, love Central. AND the Majestic Grille for upscale. AND Huey's for a Huey burger. And Jim Neeley's Interstate Barbeque for BBQ bologna sandwiches. Trust me on that! Thanks for the reviews. We are leaving for Memphis Friday! So glad you had fun in Memphis!! 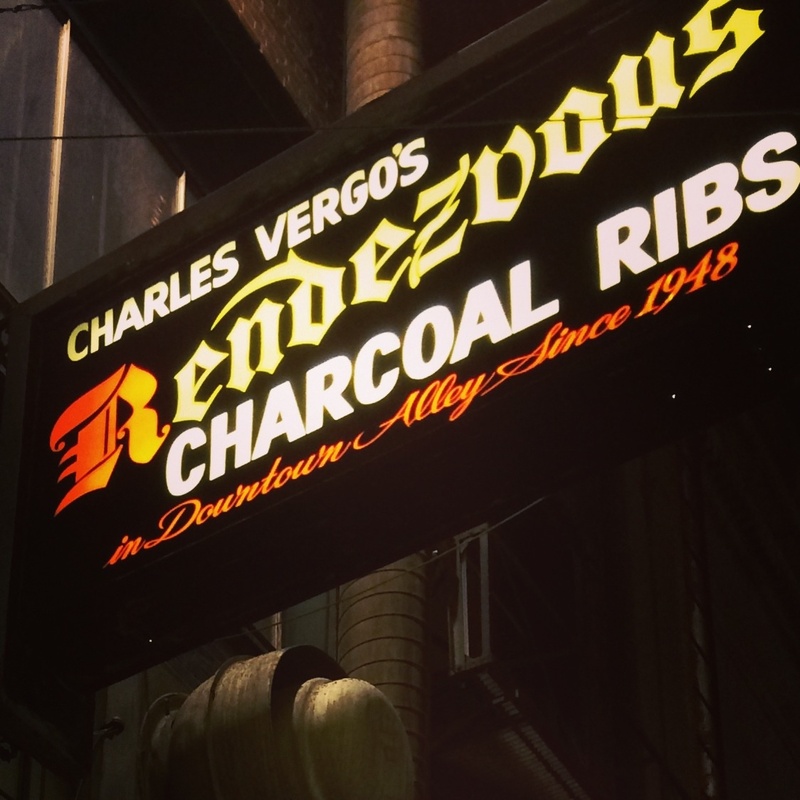 Love Central BBQ, and I always love heading downtown to the Rendezvous. Corky's is always a favorite as well. 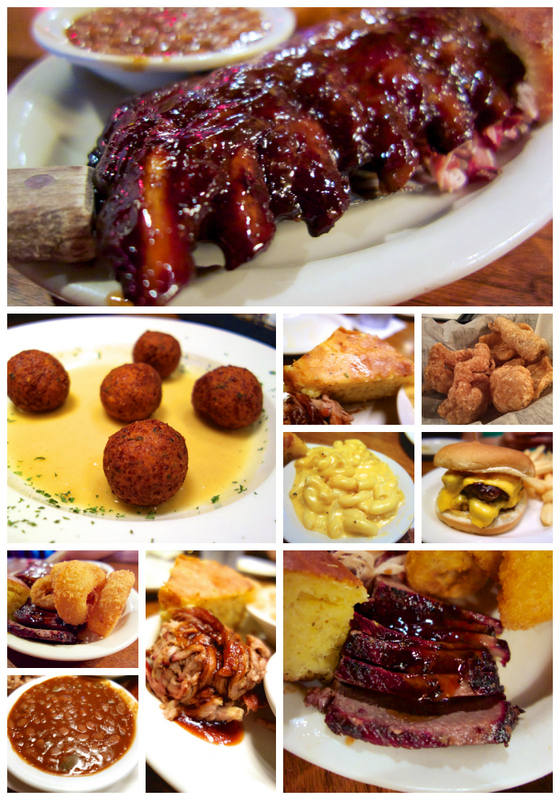 For some non-BBQ options next time you're in town, go to Hog & Hominy, Andrew Michael Italian Kitchen or Restaurant Iris. Best eats in town!!! The desserts at Peabody Hotel are fabulous! You can order them in the restaurants there or out of their pastry shop.